With these heated holding and proofing cabinets, keep your prepped ingredients, completed entrees, breads, pizzas, and other food items at the right temperature until the moment you need to serve them. Insulated cabinets assure that internal temperatures, moisture and heat are all maintained. Durable construction means these cabinets can stand up to a busy kitchen or catering business. Available as either holding cabinets, proofing cabinets, or combination units. 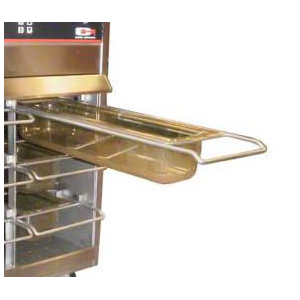 Select from a huge assortment of storage capacities and cabinet sizes to accommodate your trays of dough, prepped items or plates of completed meals.